Online security retailer safe.co.uk, which stocks big names in home security such as Yale, Swann and Ring, has this month launched its own brand of home safes. The Black Box series is ideal for homes or offices and is affordably priced for homeowners looking to kickstart their home security. 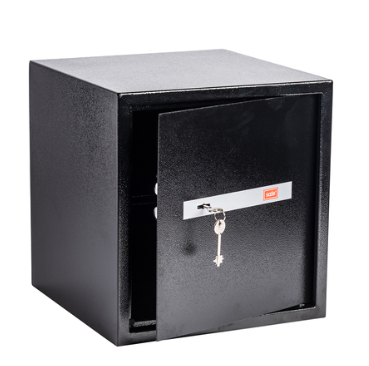 Available in three sizes and with two lock options, key or digital keypad, safe.co.uk’s Black Box series is positioned as a starter range. The digital range has 3 sizes: 20E (200 x 310 x 200mm), 25E (250 x 350 x 250mm) and 40E (400 x 380 x 380mm). The 40E also includes a removable shelf. The key lock range also has 3 sizes: 20K (200 x 310 x 200mm), 25K (250 x 350 x 250mm) and 40K (400 x 380 x 380mm). The 40K also includes a removable shelf. The Black Box series is a great entry-level option for those looking for everyday home security to keep their small to mid-size valuables secure.